We believe that mastering the bio-mechanics of riding ensures the best relationship you can have with your horse. It is not complicated. Basically we want to make it as easy and comfortable as possible for the horse to carry us. Learning core control and understanding/practicing correct bio-mechanics make it possible for the horse to willingly carry their rider. Learning how to control your body to give independent aids is critical to developing a relaxed, confident equine athlete. All horses no matter the discipline appreciate quiet, precise aids. 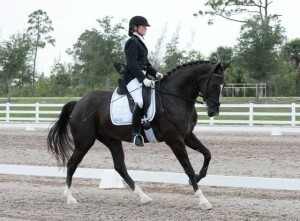 Western Dressage is a relatively new discipline and is being embraced across the country. There are hundreds of combinations vying to compete in the World Western Dressage Championships. This new discipline is straight dressage except your horse wears a western looking saddle and the rider dresses in a western shirt of whatever color and dons a western hat or a helmet. Frankly they have jumped the main complaint of dressage which is widely considered conservative and boring with it’s drab uniform and general uniformity! We look forward to working with Western Dressage clients – it is the wave of the future and Teamwork Dressage intends to participate and enjoy catching the wave. Eventing Dressage is a requirement for a One or Three Day Events, the history is interesting and related to the mounted military before machines took over the role of fighting wars. An excellent war horse must be able to successfully show that he can behave to commands and willingly execute them. That is the Eventing Dressage. The second skill is the Cross Country, the horse must be able to deliver a message behind enemy lines. 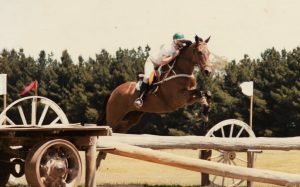 The horse must be fit and able to gallop across cross country jumping any obstacles and crossing any creeks or rivers. The third phase is the Show Jumping, to show that after an obedience and cross country test, the horse is still sound and fit enough to jump a showing jumping course. The eventer is a combination horse who possess many skills. Teamwork Dressage coaches eventing horses in the basic principles of dressage. Today there is a real focus on the dressage phase because you can not be in the winner’s circle without a good dressage score. Plus the benefits of good dressage means the rider can go faster cross country because the horse is not wasting energy fighting the reins and listening to the rider’s weight aids for steering. The show jumping phase is becoming increasingly technical and difficult rewarding those rider’s who have a easy connection with their horse. That is what dressage is for – better communication with your horse so it looks harmonious and easy! 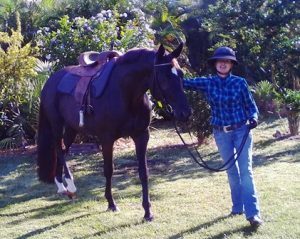 We have full empathy with the horse and rider and want them to succeed to the level or goals that they aspire to. It may be just to fix an annoying problem, to make the horse more rider friendly, to train the horse/rider combination to any level of dressage that you could only dream about. 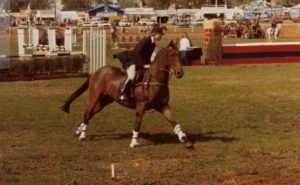 Libby was a FEI dressage judge in Australia and the USA and also held the position of International Dressage Judge ‘I’ for 15 years. Libby also helped guide the Australian Dressage Council in designing dressage tests, creating rules for dressage competition and introducing dressage clinics with international instructors, all with the goal of improving dressage standards, she was chairman twice over this period. Libby and Jules are both skilled teachers, Libby having taught in Schools, Universities and Colleges in animal related subjects, Jules holds a Masters in Education and a graduate from an English Acting and Dance College. This makes Jules an expert in the art of the musical freestyle, where she has competed successfully up to Grand Prix levels. western competition, which makes us unique dressage trainers.